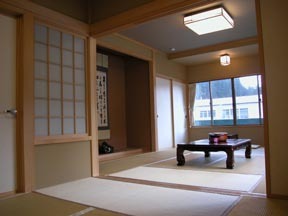 [Privilege] One person sticks like and they are juice or one sake holder service & snowshoes loan service. First, just, the dish obtained deliciously Petasites japonicus vegetables boiled hard with soy, a grilled beef and tempura, especially a lobster for that it was delicious and a firm material, although it seems that there was no prejudice so much.He has a feeling currently managed by the policy which the husband adhering to a Log did just although it led and the whole was not dressed up, the guest room using the whiskered velvet shrimp Ebisu pine wood in which the old guest room was also remodeled also has a taste, inside of a hall and a dining-room were also obtained finely, and breakfast became the feeling which the self attached for which and gained to coffee and a raw egg.Finishing [ a restroom ] of a renewal.And a bath is the effect of tapping of the mountain seen only here in the total fir-tree structure which constructed the Log without using the nail, and Hokkaido.A husband is if the pile up of the lamber of a fir tree is carried out to a red Ezo spruce and it is remodeling little by little in the right man in the right place.It is and can pass warmly 2 stories of the Showa 43 Structured wooden, and a floor heater. 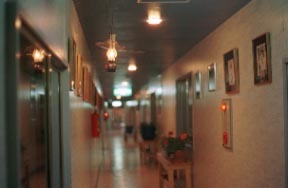 Inside of a hall in which an illumination lamp is lighted. Wild grass subject country-style dishes. Wild grass (Petasites japonicus - Kogomi-fern Pteridium aquilinum and spring ascetic's-Gyo-jya garlic) etc. 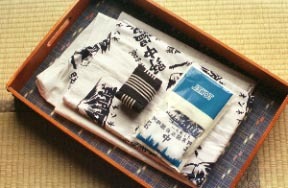 I will provide the visitor of three or more night stopping with winter limitation "hot-spring cure plan." 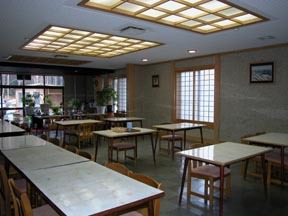 Those with a simple self-cooking room.Pick-up important point consultation. 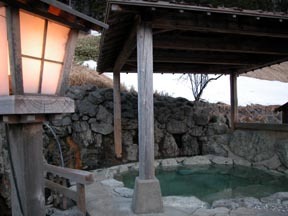 The mineral-rich sediment of un-heating, a non-water running and free-flowing hot-spring water, and the shape of a white particle. Every day hot-spring payment cleaning. 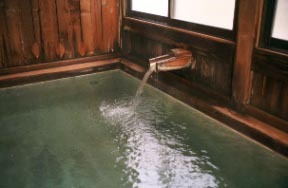 The Shimizu is being pulled and a nagayu is also recommendation at a coldness-and-warmth bath.